I have read all of those inspiring stories, and I have never been more proud to see those potentials, talents and strong wills! First prize is for SARA "Why?" We have other competitions coming soon we are excited about! Yay! 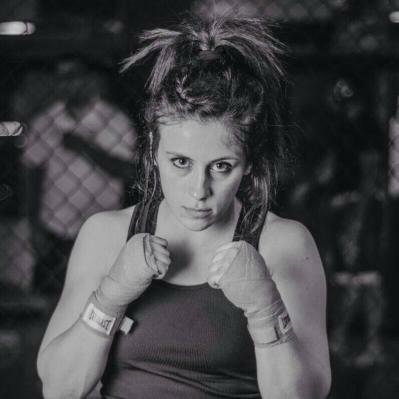 My name is Lina Fayyad and I am the owner of Insanity Gym and a Jordanian MMA fighter! For me to get this far, I have had to overcome a lot obstacles and remain motivated! I am looking for Obstacle Breakers just like me! Tell me your story, what you have been through, and the obstacles faced! I want to know what motivated you to not let these obstacles hold you back! Tell me what motivated you to keep moving forward! Whoever inspires me the most will win free personal trainer sessions for a month from me! Each participant can submit either a video or a written entry describing their story and how they are Obstacle Breakers. Participation: Anyone aged 18 and over can participate in this contest for those residing in Jordan. Participants declare that they agree with the terms and conditions of the contest, the rules, and the jury’s decisions. Each participant can make one single submission.